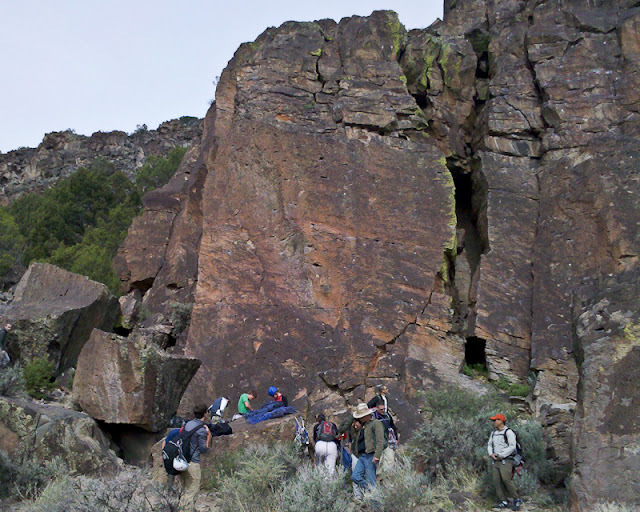 I’m taking the Los Alamos Mountaineers climbing school, which is very well run. It’s a blast, despite the fact that it often makes me feel like an out-of-shape blob who is terrified of heights. I’ve been wondering if climbing would be a fun family activity, with Erin and then the kiddos once they’re old enough (the YMCA has climbing classes for kids as young as 4). I look forward to exploring this more after things calm down a bit post-birth. Here we are setting up for the 4th outdoor class session, at The Gallows in White Rock Canyon. 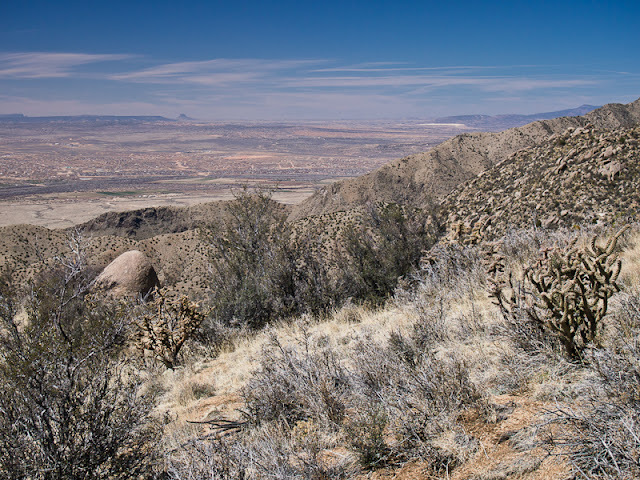 It turns out most of these routes were first ascended by my friend Walt Wehner and his friends in the 90’s. 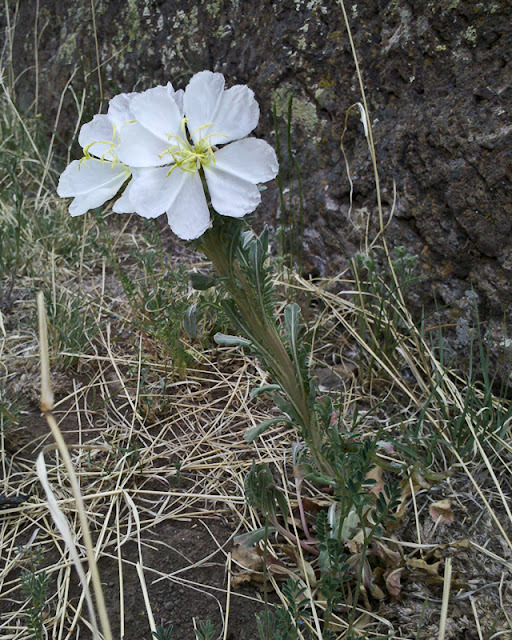 A colleague of mine spotted 13 different kinds of wildflowers in White Rock Canyon the weekend before. I think I got to 8 or 9. On March 31, my dad and I and some LAMC folks hiked up Cerro Colorado, near Ojo Caliente. Above is the summit. 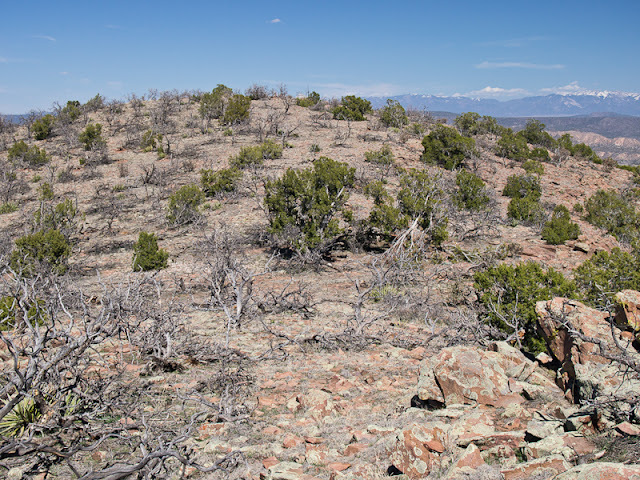 The area had been remarkably hard hit by the piñon die-off a few years ago, as you can see above. However, a decent number of tiny to small piñons seemed to be doing just fine. My hope is that they’ll stage a comeback in a way that is more resistant to the beetle plague. A few weeks back I went on a hike in the Sandias with some folks from LAMC, as part of a “Class 3 Scrambling” course. Near our high point, looking northwest? 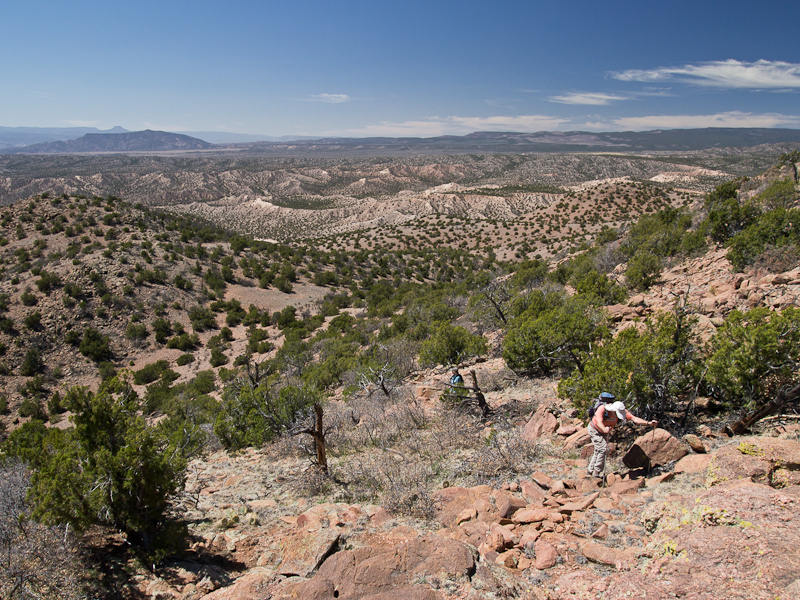 The Jemez are just peeking over on the right horizon, while Cabezon is visible on the left horizon. 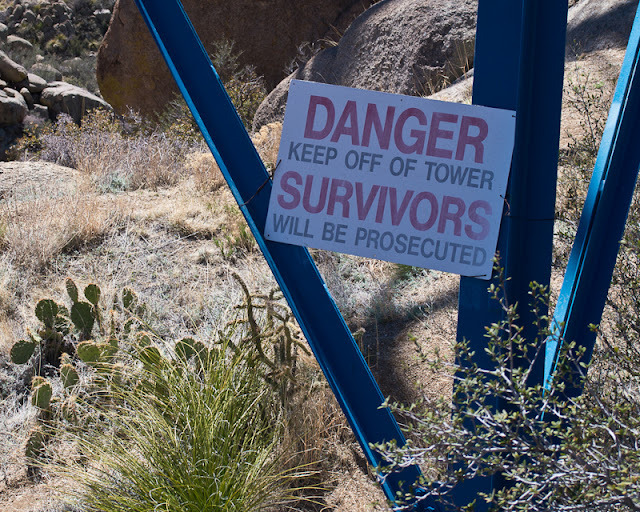 The tramway people are pretty serious about people not climbing the towers. 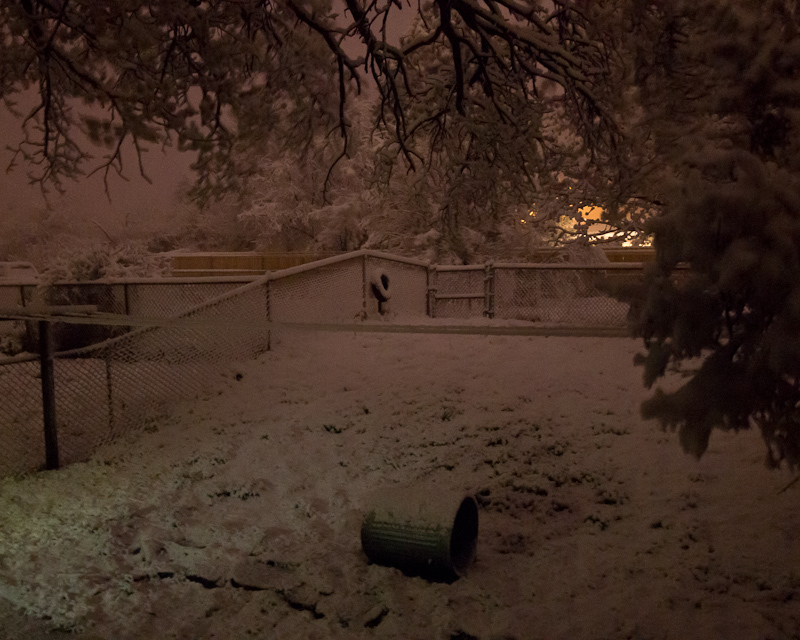 This is the scene in our back yard as of an hour or so ago. That is, snowing heavily with 4-5" of accumulation in some places. I think it’s great. I believe I’ve mentioned before that the only acceptable weather conditions are blizzard and brilliantly sunny. The branches covered in blossoms catch the snow best.